The results of Secondary Education Examination (SEE) of Grade 10, which used to be called as School Leaving Certificate (SLC) exams in the past, published today. Students securing between 90 and 100 marks will get A+. Similarly, A is for those securing between 80 and 89 marks; B+ (between 70 and 79 marks); B (between 60 and 69 marks); C+ (between 50 and 59), and C (between 40 and 49 marks). Similarly, students securing between 30 to 39 will get D+; D for those with 20 to 29 marks while E for those who score below 20. The exams were conducted in 1,923 exam centers from March 16- 24 across the nation. According to the National Examination Board (NEB), a total of 538,182 students including technical groups were registered for the SEE. Among the total number of registered students, 468,400 are regular students, 50,873 partial grade promoters, and 18,909 exempted students from the past SLC exams. Out of total students, 278,450 are girls while 259,732 are boys, according to the NEB records. The Act has provisioned holding the Grade 8 exams by the district boards, Grade 10 exams by region/province boards and the Grade 12 exams by the national board. It is the second time that the letter grading evaluation system was practiced in Grade 10. According to the MoE, the letter grading system will be gradually enforced in school level exams from Grade 1 to 12. The system is being implemented in Grades 9 and 11 from this year. Council of Technical Education and Vocational Training (CTEVT) today publishes the examination schedule and examination center notice of special chance examination of TSLC Examination. Students who have registered in the TSLC offering institution within 2054 to 2068 but could not complete the level are eligible to participate in the exam. The examination will be held in Shree Adarsha Secondary School, Sanothimi, Bhaktapur. 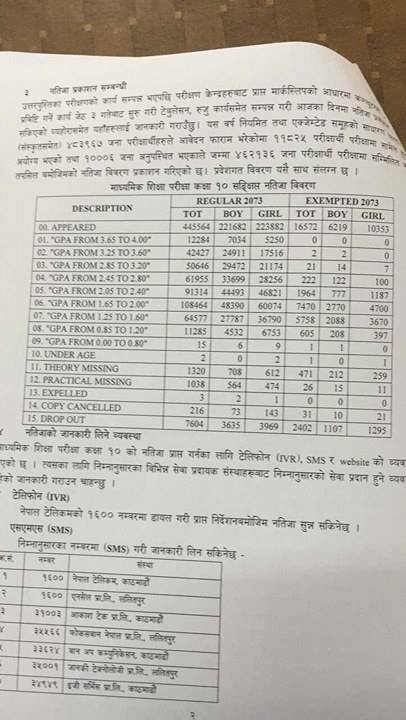 Office of the controller of exam, Bhaktapur is in very last instruction of publishing the consequences of SLC. Consistent with the reputable source at SOCE, they may be preparing to put up the result inside third Ashad, 2073. 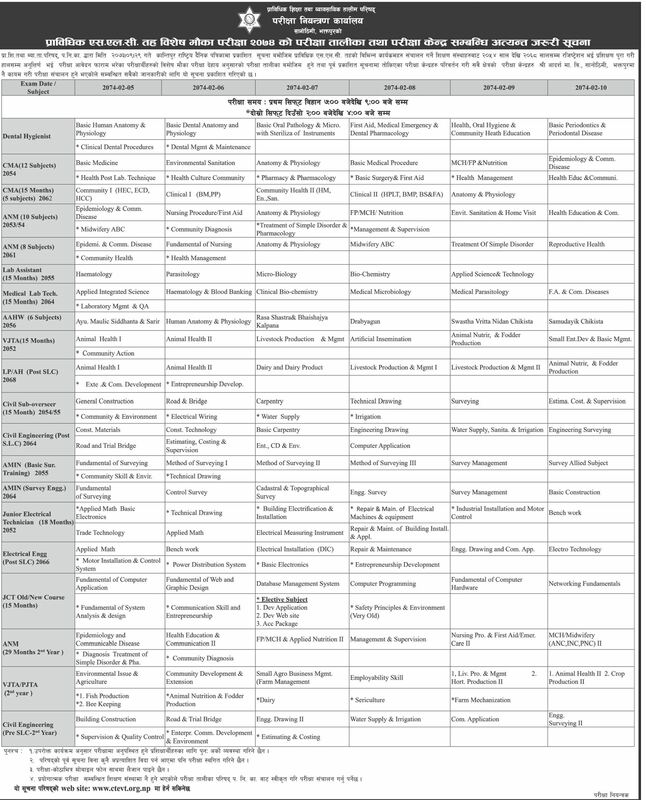 Government of Nepal, Ministry of Education, Office of the controller of examination, Sanothimi, Bhaktapur published notice regarding registration form fillup to participate SLC exam 2074.